Does Dracula really exist? That is to say, does the vampire Dracula really exist and, like Santa Claus, can he watch and hear everything? Well, Robert thinks so and he’s not alone. 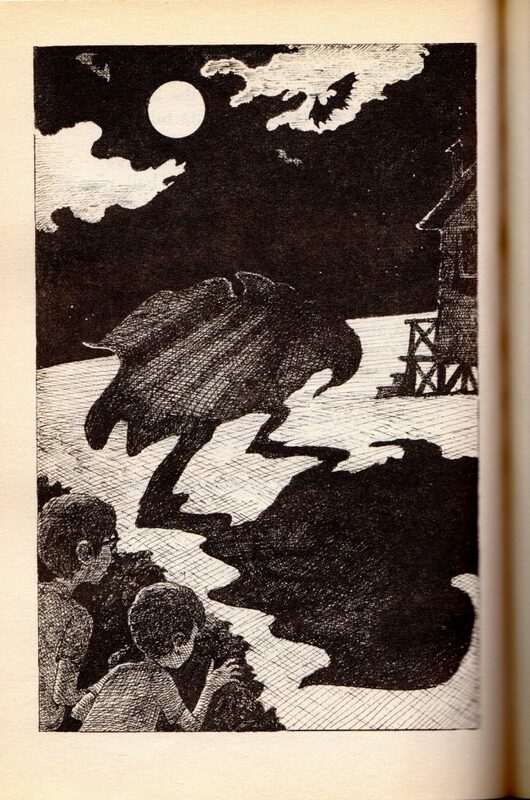 In DRACULA IS A PAIN IN THE NECK, written by Elizabeth Levy, strange things start to happen after Robert and his older brother Sam arrive at summer camp. First there’s the eerie howling in the night. Then, food goes missing and someone spies a shadowy figure in a cape. Soon, Robert becomes convinced that Dracula has come for him because of the way he treated a Dracula doll he brought to camp. Thinking that the legendary creature seeks revenge and wants to turn him into a vampire, Robert recruits his older brother Sam and his friend Jared as they attempt to track Dracula down – or the person masquerading as the creature – and defeat him! DRACULA IS A PAIN IN THE NECK was first published in 1983 and features not only a splendid little scary story by one of the most prolific authors in children’s fiction, but also whimsical illustrations by the equally prolific Mordicai Gerstein. The book is a quick read, features large text and runs a brisk 74 pages. Equal parts spooky and sweet, DRACULA IS A PAIN IN THE NECK boasts a small shiver-worthy conclusion. Levy has written over 100 books for young people, not all of which I’ve read. Still, I’m confident in saying that this is one of her best! As a kid, I loved vampires (especially Dracula) the way some kids love superheroes or Disney princesses. And like the book’s main character, I too, felt like an outsider and was treated as such due to my interests. What’s more, I also suffered from separation anxiety and had a special toy that I slept with. All this to say I can really relate to Robert, and I have no doubt that other young (and old) readers will too. Dracula may be a pain in the neck, but so can being a kid who finds comfort in things other kids deem strange. And I am sure I am not telling any fellow fans of horror anything they haven’t felt before. Robert represents all of us at one point in our early lives; he’s scared, out of his territory, and at the mercy of what he loves. Like most every monster story, the true monster(s) in DRACULA IS A PAIN IN THE NECK are the people, in this case young people, and the fear that causes them to treat one of their own unkindly. 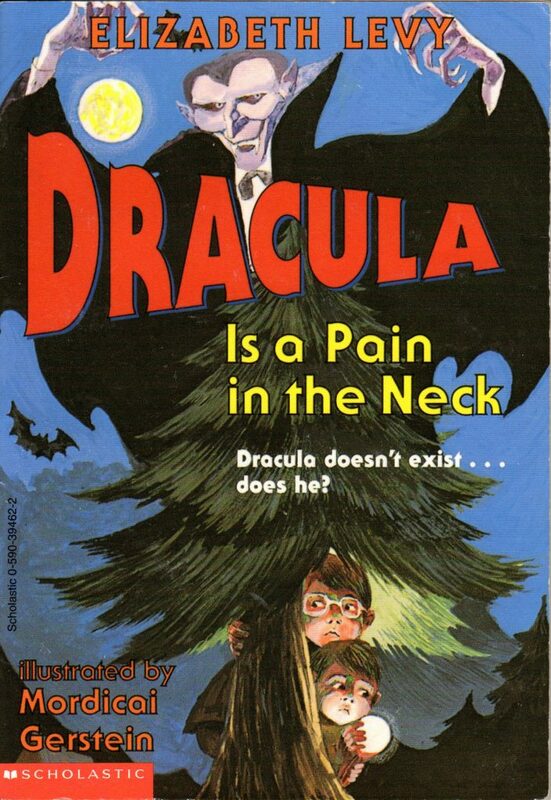 DRACULA IS A PAIN IN THE NECK is one of six books in the SAM AND ROBERT BAMFORD MONSTER BOOK series. I highly recommend you track down every book in this series, but especially this one, for your fright fiction library. Glenn Tolle grew up with a healthy interest in the macabre. His dad worked, and still works, as a grave digger, and much of his childhood was spent running around cemeteries and reading creepy books. All this combined with early viewings of the classic Universal monster movies led him to writing about the genre. He writes not only for RUE MORGUE.com but also for morbidlybeautiful.com under the pen name Glenn Strange. When not writing about horror Glenn talks about and interviews people within the horror and film community for the YouTube channel Psychic Celluloid Signals and creates original horror stories for publication.